Well, well, well. My first week where I’m licking my wounds. This goes to show you three things about fantasy football: (1) Anything can happen in fantasy football… such as Alvin Kamara getting rested most of the game and likely being the root cause of many team’s Week 5 loss. (2) Jon Gruden wanted to remind Marshawn Lynch of why he didn’t get a Super Bowl ring and making me look moronic with an abysmal 11 touches (Will Ferrell says my thoughts exactly on that coaching decision here). (3) Even *I* am wrong at some point or another…the difference is I admit it (Hi mom!). In my defense, I was right about AP? Okay, Okay… 4-1. So now that we have you mocking me for my bad advice, let’s move on to my first tight end edition of Punt Pass and Play for Week 6’s series. The challenge is just as hard this week as I’ve been tasked with Cameron Brate, Eric Ebron and Jared Cook. I’ve never trusted a three-trick pony in fantasy, and I won’t begin to with Jared Cook. This man is no different than a Tavon Austin type of player: one big game, 3 bad games. Rinse. Wash. Repeat. The sky is the limit for him if you’re bold enough to play him. However, the one spot the Seahawks are relatively well equipped at with speed and coverage ability is the linebacker spot. Not to mention Bradley McDougald has done a good job at Kam Chancellor’s old position. Simply put: I just don’t see it. Find a TE that you can stream instead (hint: Cameron Brate, Austin Hooper, or Trey Burton if he ended up being available after the Bye). Cook is 31 and has never been anything more than a dart throw. Personally, I’ve never seen a tight end’s age-31 season being their breakout year. Jared Cook will fall down to Earth and regression is on the radar. Sell him to an Evan Engram owner or in a 1.5 tight end PPR premium league. You can get him while his numbers are worth pitching. Snag a rookie 2nd due to scarcity at the position by bundling him and another player. Look at the history in his numbers and the amount of times he was “poised to break out.” SELL… NEXT! Eric Ebron hasn’t stayed healthy. He’s likely going to play, but not practicing most of the week is a recipe for disaster. His injury report literally reads “(shin, quad, ankle, knee).” That’s longer than my Christmas list: Audi R8, personal helicopter, hit the lottery. Anyhow, when healthy, he has been the Colts top option and temptation is very high to play him regardless, especially with Jack Doyle and T.Y. Hilton already ruled out. Unfortunately, this week is the week to play it safe and look elsewhere. If the Colts do get ahead of the Jets, expect Ebron to be on a snap count if he even gets through the game. Eric Ebron is an intriguing stash. I sold him to a TE-needy team for a 2019 4th round pick and overlooked him on waivers afterwards because he couldn’t hack it in the Lions pass-heavy offense. Additionally, Ebron is only 25 and is in a scheme where Frank Reich utilized Zach Ertz brilliantly. I’m keeping Ebron on my team for the year and, if Doyle remains out, the payoff could be monumental. He’s a solid hold, but I’ll pass on him in Week 6. Three reasons for this play: (1) I’m picking on Atlanta’s injury riddled defense. Basically, they’re all second stringers and continually get torched. (2) Cameron Brate was a top 6 (8 TDs) and top 8 (6 TDs in a limited role) tight end in 2016 and 2017, respectively. (3) He’s been Jameis Winston’s favorite red zone target. Don’t forget he’s already scored a touchdown in consecutive weeks and O.J. Howard is still limited at practice, thus likely to be on a snap count. These factors alone makes me a believer in Brate as a one week rental (worst case scenario). Even when Howard gets back, I think he is a solid stash in redraft. Confession: There is some bias here as he is my Evan Engram injury fill-in this week but my feelings towards playing him are just as strong regardless. Brate looks like he will be in Tampa Bay until retirement or until he’s traded. I was surprised he re-signed to be in a limited role and Tampa Bay giving him $18 million guaranteed to do so. Howard and Brate will likely eat into each other’s production for majority of the contract, so you can likely shop him for a mid- to late-round draft pick if you have other long-term investments (Mike Gesicki, Evan Engram, Dallas Goedert) to fill in next season. If you believe Howard will be injured more than playing, then definitely keep Brate, but we know banking on injuries isn’t the smartest play. 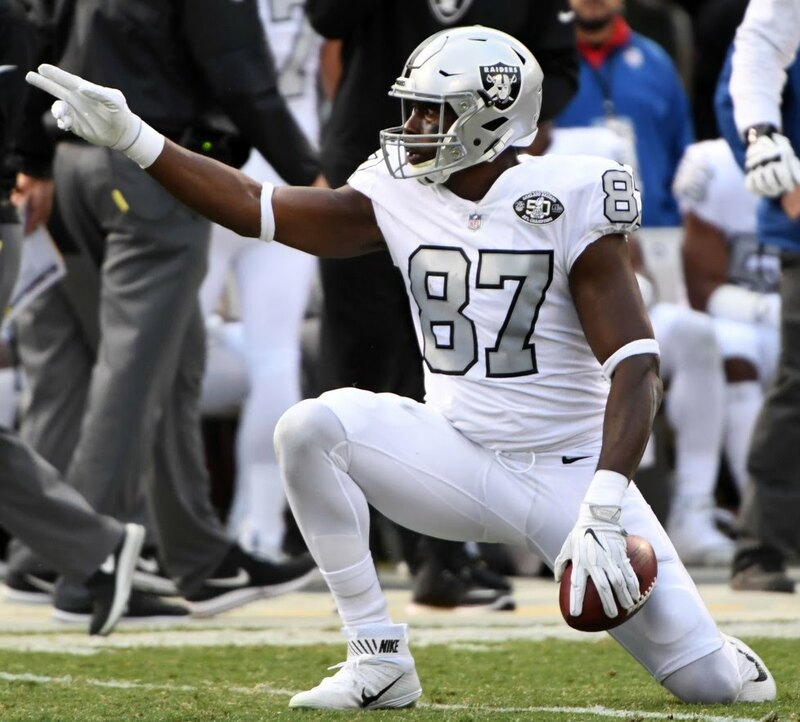 In summary, Jared Cook will remain a three-game wonder. 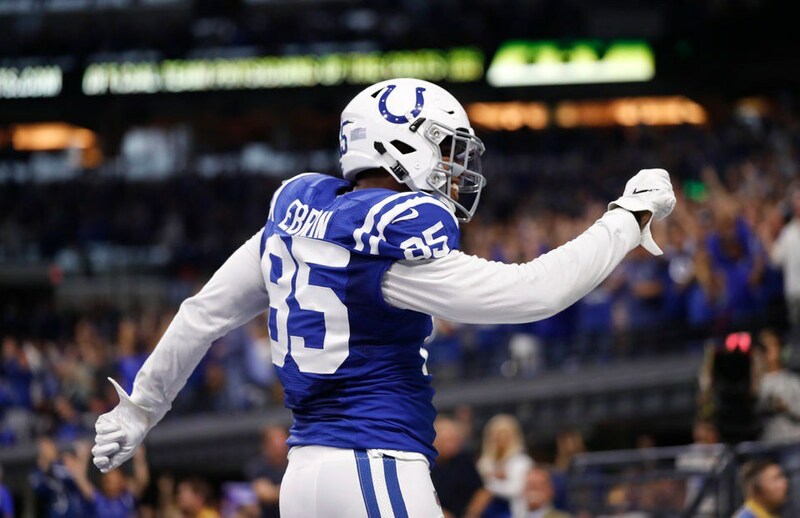 Eric Ebron is worth the stash–keep him on your bench this week though. 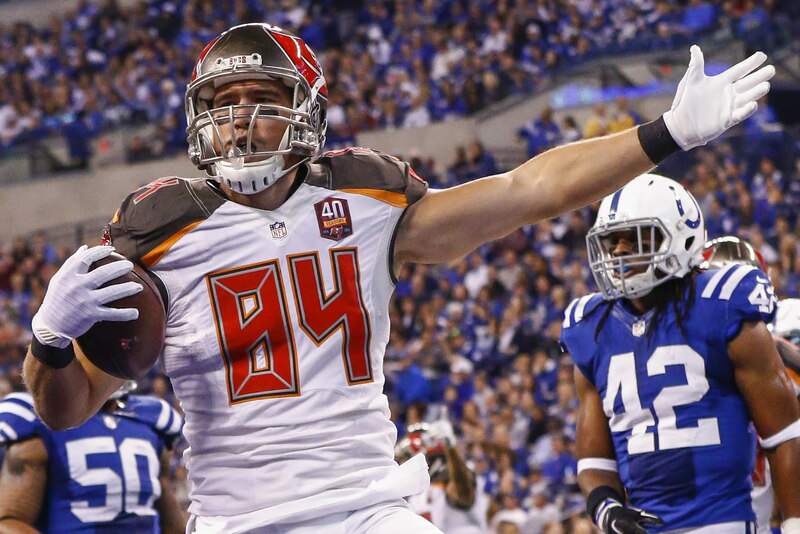 Last, Cameron Brate will show Tampa Bay why they gave him the money they did, especially this week. Bank on me this week. Last week was a fluke with 11 Lynch carries. We’ll get him this week by playing Brate together! For more fantasy advice, add me on Twitter (@ricco_3733) or ask via email at Riccadonna3733@hotmail.com. Until then, I’ll see you for the Week 7 edition of Punt Pass Play!